Home / Odia-news / WISH BIRTH DAY CELEBRATION Naveen Patnaik ODISHA NEWS. WISH BIRTH DAY CELEBRATION Naveen Patnaik ODISHA NEWS. 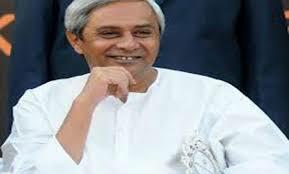 BHUBANESWAR NEWS: Odisha Chief Minister Naveen Patnaik has canceled his birthday celebrations on Tuesday to the people affected by Cyclone Titli and subsequent floods in some parts of the state. The Odisha Chief Minister has also requested his well-wishers and Biju Janata Dal (BJD) party workers and leaders not to organize any function or throng Naveen Nivas.